Aerial photograph of Moturua Island, courtesy of Salt Air. Moturua Island: If you were to create your idea of paradise into a mere 136 hectares, what might you put there? Would there be a variety of beaches, perhaps, all completely different and yet each as glorious as the last? Crystal clear, turquoise waters; calm, safe and warm enough to jump right into? Stunning panoramic views, accessed by invigorating walks through an exotic wilderness? Rich, green forests, abundant with luscious, native vegetation? Would a healthy population of beautiful, rare wildlife, that you may never have laid eyes upon before, be thriving in your vision? Perhaps there would even be a plethora of fascinating archaeological secrets hidden in the landscape, telling stories of war, colonialism and prehistoric culture? The good news is: all the hard work has been done for you. This vision already exists in real life, and it is called Moturua Island, a very special haven tucked away in the magical Bay of Islands. This Pacific treasure is accessible by kayak or boat, and you can safely moor on any one of its four fantastic beaches. 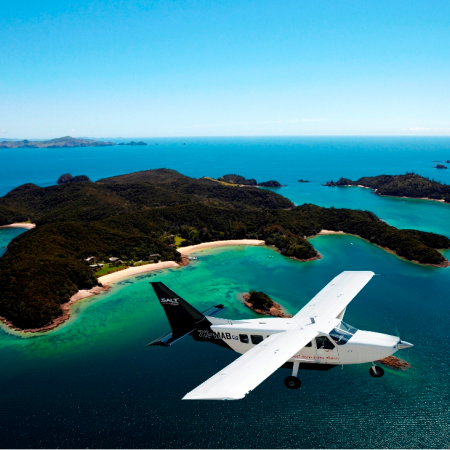 If you have neither to hand, you can catch a water taxi from Paihia and simply sit back and enjoy the ride. Otupoho (Homestead Bay), Waipao (Frenchman’s Bay), Waiwhapuku (Army Bay) and Mangahawea are the names of the four beaches to be found on this island scenic reserve, and each are utterly unique. Whether you prefer rugged or picturesque, soft white sand or pebbles and shells, we guarantee you will find something you love at Moturua. Otupoho even has a compostable toilet facility! For the water-lovers among you, don’t pass up the opportunity to enjoy one of the many gorgeous swimming and snorkelling spots on the island. The Moturua Island Track, a 4.6 kilometre loop around the island, makes for a great outdoor experience. It is hard to pick out the best thing about it. It could be the magnificent 360 degree views of the Bay of Islands you will see along the way; the 27 archaeological sites to be discovered en route; or the fact that you can access this track from any one of the island’s four main beaches. Classified as an easy 2.5 hour walk by the Department of Conservation, and with so many spots on the way to stop, relax, eat lunch and soak up the sunshine, this is a walk that anybody can enjoy. You are, however, asked to please leave your dogs at home. A delightful array of native vegetation and wildlife is abundant on the island. Tread quietly and look closely and you will see silver eyes, fantails, tuis, and perhaps even a rare North Island robin or two. If you’re still around after dusk, listen carefully and you might just be able to make out the song of the North Island brown kiwi, too. The traceable history of Moturua Island dates back to the very earliest Polynesian settlement, and the vast number of archaeological findings here – including, in one instance, a moa bone discovered within ancient food refuse – are a strong indicator that prehistoric Māori thrived in the island habitat. From the track you are able to explore some of the many centuries-old pa, midden, gardening sites, terraces and pits. In colonial history, famous explorers Captain Cook and Marion Du Fresne each had involvement with the people of Moturua Island. Cook anchored just offshore in 1769 and entered trading relations with local Māori . Three years later, Du Fresne set up camp on the island and the French erected a hospital, a forge, an officers’ tent and guards’ quarters. This sadly ended in bloodshed three months later, after Du Fresne and his crew were attacked while fishing, culminating in the sacking and burning of Paeroa pa, and the deaths of some 250 Māori warriors. In more recent history, Moturua Island was occupied by the Navy in World War II, and today there remains a mine observation post at Hikurangi pa, concrete pads for the ablution blocks and barracks on the back beach flats, as well as the underground remains of the old radio and ancillary rooms. Moturua Island is a goldmine of opportunity for anybody keen to get out there and explore raw New Zealand history without ever having to step foot inside a museum. ‘Something for everyone’ is possibly an overused statement, but when it comes to this particular capsule of Paradise we really do believe it is true, so start planning your visit today!